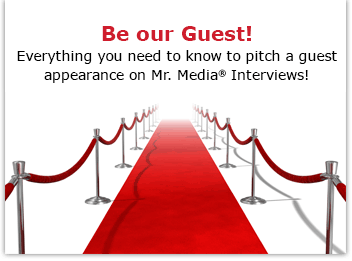 Mr. Media is recorded live before a studio audience that includes broadcast radio personalities looking for pointers into the brave new world of podcasting… in the new new media capitol of the world… St. Petersburg, Florida! If you listen to podcasts – and who doesn’t these days – you know that part of the appeal is that you can find shows about whatever subject you’re interested in.Got an itch? No, really, is something unknown making you scratch? There’s a medical podcast for that. Looking for fellow believers in the Church of George Lucas and The Force? There’s a Star Wars podcast for that. Interested in filmmaker Kevin Smith? He’s got so many podcasts he had to start his own network to keep track of them. And you can find them all on the Stitcher app for iPhones and Droids, or iTunes, or even BlogTalkRadio. But if you’re a podcaster, where do you turn for like-minded folks, good ideas and problem-solving? I recently came across a show called the “School of Podcasting.” It’s a long-running podcast hosted by Dave Jackson. And it taught me a big lesson: when it comes to podcasting, I may have five years of experience, but my knowledge is like a single flea on a mangy dog’s back. There is so much to learn! And every time I listen to Dave’s show, I come away a little bit smarter, a little more aware. In addition to his weekly shows, which are free by subscription, you can also pay for more detailed podcast tutorials and live training with Jackson at one of his websites, SchoolOfPodcasting.com or DavidJackson.org. He’s also written an eBook, More Podcast Money. So I’ve invited the principal of the School of Podcasting to join me for conversation tonight. This might be a little too “Inside Baseball” for some Mr. Media listeners – or you might just find yourself inspired to try developing your own podcast.